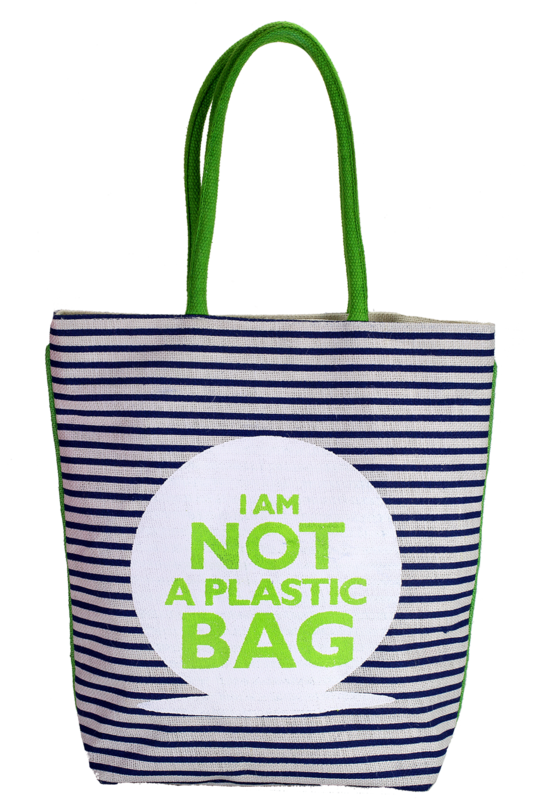 This black and white stripe bag has a cute eco-friendly message printed on it, which makes a good contrast with the soft green handle that it has. 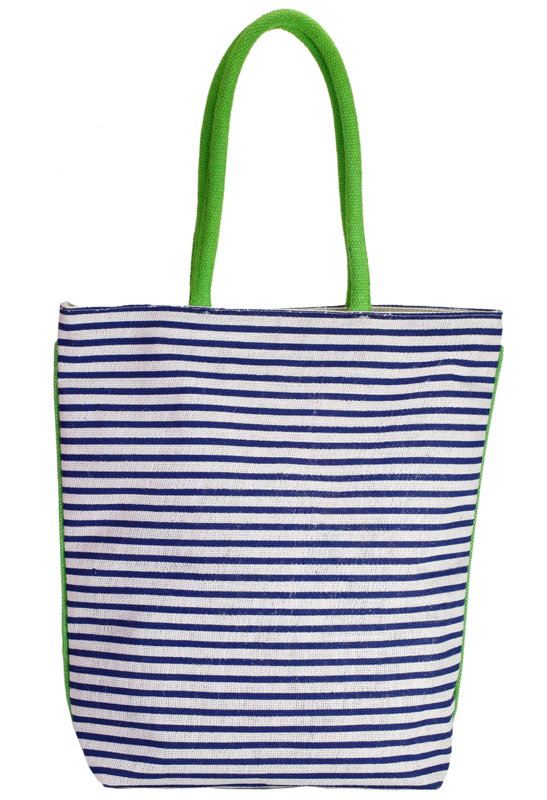 This bag is made from cotton where it has a size of about 42 cm height, 40 cm width and 12 cm depth. It is soft due to its raw material from which it was adopted and basically bio-degradable in form. 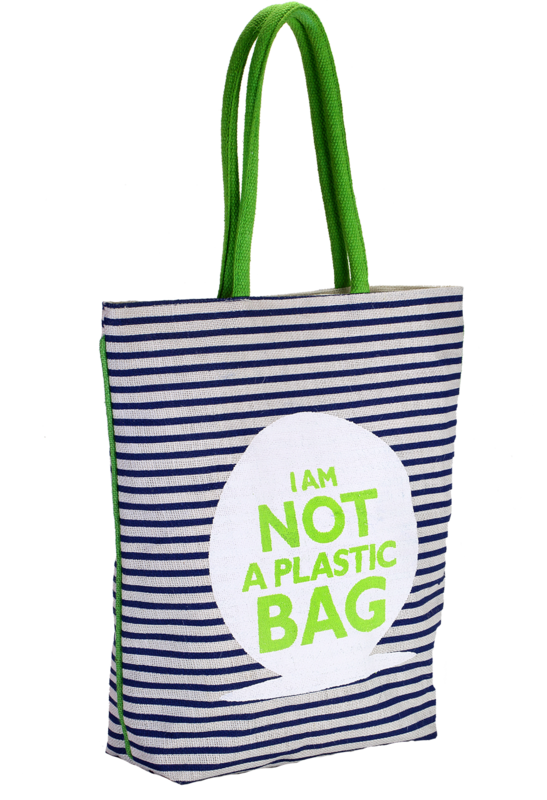 You can use this bag whenever you want either for shopping or for any casual use.